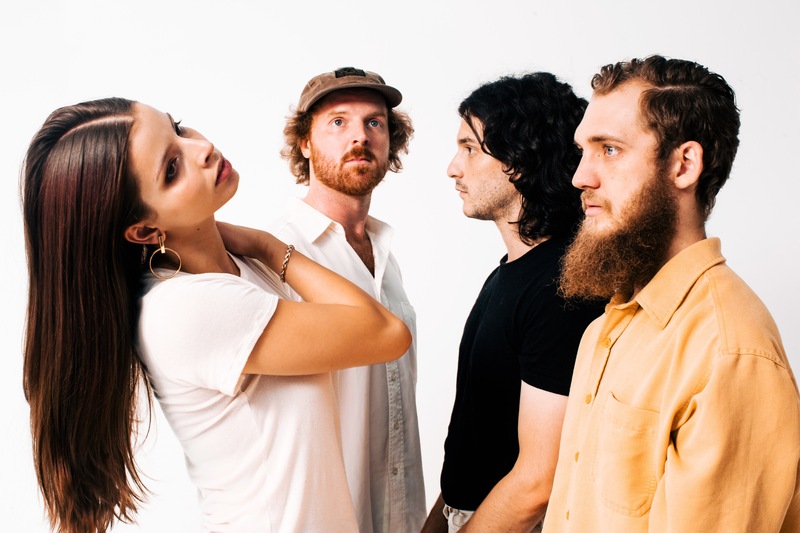 Brissie’s indie rock darlings The Jungle Giants have enjoyed a stellar 2017, with 4 songs in Triple j’s Hottest 100, nationwide Falls Festival performances and a sold out headline tour. Their hotly anticipated 2018 album Quiet Ferocity combines their signature melodic arrangements with percussion-laden production - catapulting them into a sonic stratosphere that is entirely their own. Singles ‘Feel The Way I Do’ and ‘On Your Way Down’ have won hearts on dancefloors everywhere. The talented quartet have clocked up over 26 million Spotify streams. Their early releases Learn To Exist and Speakerzoid spurred sold-out headline dates and appearances at all major Australian festivals, including an overflowing tent at Splendour In The Grass.. Speakerzoid also saw them play shows in LA, New York, Toronto, Austin, Singapore, Kuala Lumpur and Jakarta. Join us on the dancefloor for some banging indie rock! Join us on the dancefloor for some banging indie rock.